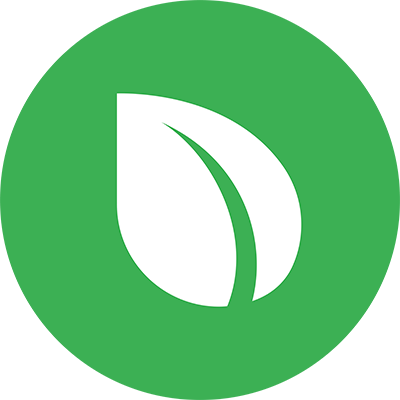 Peercoin v0.6.1 Released, Upgrade Today! Hey guys, after a long wait, Peercoin v0.6 is finally here. This is the first release from Peercoin’s new team, which marks the transition away from Peercoin being developed solely by its founder Sunny King. This upgrade will require a full blockchain redownload due to the move to the leveldb database. The long awaited v0.6 soft-fork update is finally here! First of all, make sure to have backups of your wallet.dat file! My client crashes on initial blockchain download. This is a known issue caused by syncing with a not-encrypted wallet.dat file. After full download, stop the client, copy your wallet.dat back in place and restart. add nominting=1 to your peercoin.conf file or use the -nominting commandline parameter. To turn it back on after full download, remove the option and restart the client. This can happen due to inconsistencies between the wallet.dat file and the block DB. Since v0.6.1 the zapwallettxes feature has been backported from bitcoin. This option clears your wallet.dat file except for the private keys and fully rescans the chain for wallet transactions to compute your balance. Start your client with zapwallettxes=1 in peercoin.conf or with -zapwallettxes on the commandline. Make sure to remove the option after startup otherwise it’ll repeat the process every time you start the client, it doesn’t hurt but it takes a while. Note: You don’t need to re-download the blockchain for this. Store these keys safely, anyone with access to those can spend your coins. Start the latest peercoin client without wallet.dat file, it will create an empty one. It was brought up on Bitcointalk that someone saw v0.4.0ppc-2108-gbcd7712 (V0.4.0) under About Peercoin. This is a known issue and the developers have said it will be fixed properly in a post release, v0.6.1. I like the new core client. Very sleek. The blockchain is still under 1 Gb, so it shouldn’t take too long. Congratulations on the v0.6 release! Impressive job from the Peercoin development team! Whatever happened to Sunny King? So started off promising but windows client is hanging and crashing for me. Is there any bug reports/diagnostics or other information I can pass back to the dev team? It seemed to be caused by allowing minting (unlocking the wallet for minting only) whilst the blockchain was still downloading. I believe there should be a file in your Peercoin folder called debug.log. @Zangy Can you try downloading the chain with an empty wallet.dat file (just move it somewhere else). You can put the wallet.dat file back after download. Can you try if that fixes your issue? The wallet.dat that you used during the crashes, I guess it was not encrypted using walletlock? In next point release (0.6.1) we’ll fix this problem, basically we’ll disable minting while wallet is syncing. That’s what causing this problem. I’ll add a note about this in the first post. Thanks, we’ve let our webmaster know to fix it. Sorry @hrobeers just got back from work. Still want me to try with a standard wallet.dat file or is this now superceded given peerchemist’ diagnosis…? If your blockchain is now fully synced then it doesn’t matter anymore. The reason I believe hrobeers was asking you to use an empty wallet is because an empty wallet has no possibility of minting a block. As long as your wallet was not trying to mint while syncing, there should be no issue. However if your chain is fully synced then there is no way to test it unless you delete and redownload again. NOTE: An issue was discovered with v0.6.0 where if a wallet is unencrypted and contains peercoins, it will begin minting blocks before the blockchain is fully synced, causing an error. We will be issuing a point release (v0.6.1) to fix the problem by disabling minting while syncing. For now you can either encrypt your wallet so it can’t mint blocks automatically, or you can sync the blockchain for the first time with an empty wallet. Watch this thread for an announcement about the release of v0.6.1.